A day at the Riding Centre that includes a variety of riding activities for children and young people. Show jumping competition with classes starting at a jump height of 20cm then increasing in stages up to 90cm. Entry Fees: £6 per class to enter with Pony Club. To hire a Centre Horse/Pony £32 for up to 3 classes and then £6 a class after. A day at the Riding Centre where you learn about specific aspects of looking after a horse/pony. If you achieve the standard required by the Pony Club, then you are awarded a badge. Show jumping competition with classes starting at a jump height of 2ft then increasing in stages up to 3ft3"
You can enter on your own pony/horse or use a Centre horse/pony. A day at the Riding Centre includes a variety of riding activities for children and young people. This is the day where you take the Pony Club E, D or D+ Test. An authorised examiner will test you and, if you pass, you will be awarded a Certificate and a Felt Colour to wear on your jacket. 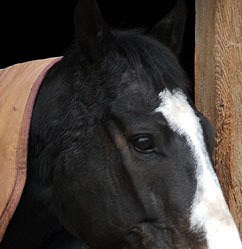 A day at the Riding Centre that includes a variety of riding and Horse care activities . This day provides training on the unmounted and mounted aspects of the Pony Club E, D and D+ Test syllabus, including stable management and horsemastership.